It's very rare that my hot mess status ends up being a positive thing. 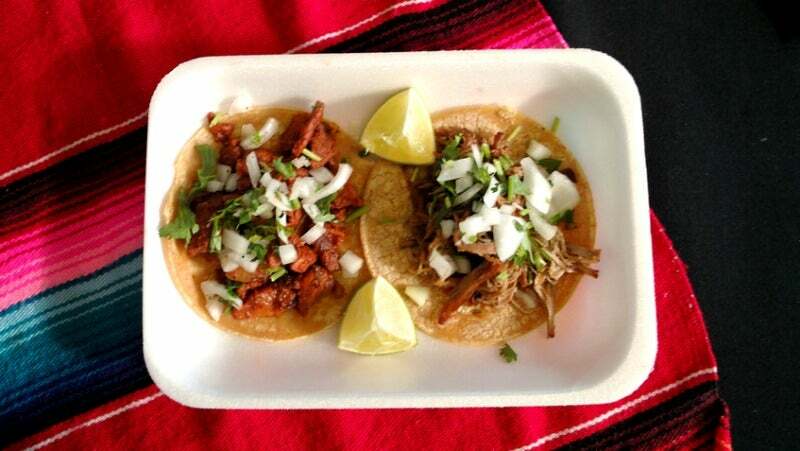 However, it turns out my slovenly eating habits can help me put more tacos in my mouth which is, frankly, my entire goal. 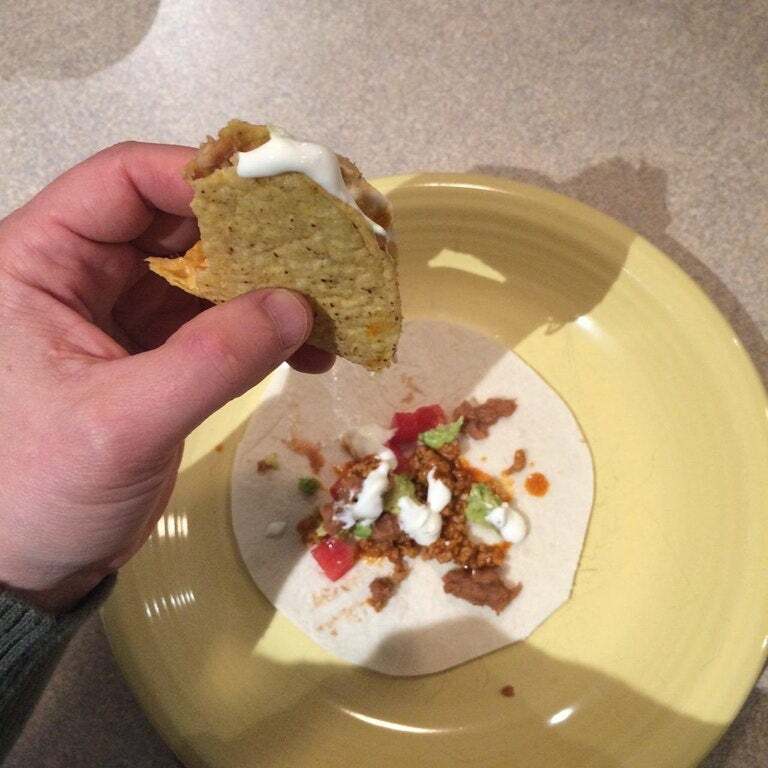 As Reddit user poppinfresh_original demonstrates in this post, messily eating one taco over a soft tortilla usually results in a enough filling falling out to create a second taco, preventing you from having to scoop up said fillings with something embarrassing like a fork and increasing your taco consumption. This is especially helpful if you tend to get a little over-zealous when stuffing your taco, which is easy to do if you get caught up in the moment. Of course, you could prevent the fallout by eating a taco according to our brilliant taco-eating diagram, but then you would only have one taco. Full disclosure: I have actually been performing this messily-consume-a taco-over another-tortilla trick with soft tacos for years, as they usually come with two tortillas per taco anyway, and I've been very happy with the results.